Can you really make an air cannon with a garbage bin, set your hand on fire safely, or launch marshmallows with a vacuum cleaner? Join Dr Graham as we do extraordinary science we with ordinary everyday items, featuring experiments you can try at home – along with some you definitely should not! See water split into hydrogen and oxygen using a lunchbox and an old laptop power pack, DIY vacuum cleaner powered marshmallow cannons, and a new leaf-blower ‘hoverboard! This Inspiring Australia initiative is supported by the Australian Government as part of National Science Week. Stay tuned for online experiments and competitions. Key themes: forces, potential and kinetic energy, Newton’s Laws. Join Dr Graham to discover the science that gets things moving! Concepts like potential and kinetic energy, motion, pressure, friction, Newton’s Laws and forces are brought dramatically to life using hovercrafts, cannons, bowling ball pendulums, rockets and much more. Exciting experiments like the Hovercannon – a liquid nitrogen teddy bear cannon placed on a leaf-blower hovercraft – present Newton’s Laws, force pairs and other key concepts in ways audiences will never forget. Expect laughs, learning and extraordinary experiments in this fun and interactive show. Get ready for some serious light-bulb moments as we discover the weird, wonderful and occasionally highly flammable phenomena of light. In a special show for the International Year of Light, we’ll explore the fundamental properties of light and colour, how light can bounce and even bend, take a tour of the Electromagnetic Spectrum and have a quick look a few of the amazing inventions that have lit up our world – all brought to life through astonishing, fun, fiery and interactive experiments. We’ll create an optical fibre made of moving water, build a laser radio telescope, electrocute a pickle (! ), discover how the colours of fireworks can reveal what stars are made of, make a DIY light globe out of an old pencil, and (in homage to Dr Evil) answer that age old question: how dangerous is a shark with lasers? Key themes: chemical reactions, states of matter, Newton’s Laws, pressure, hydrogen, oxygen, nitrogen. Rapid chemical reactions, huge amounts of pressure, hydrogen, liquid nitrogen, rockets… lets blow up some stuff in the name of science! Strap yourself in for a wild ride through physics and chemistry as we blast, launch, laugh, ignite and explode our way through of series of astonishing experiments. 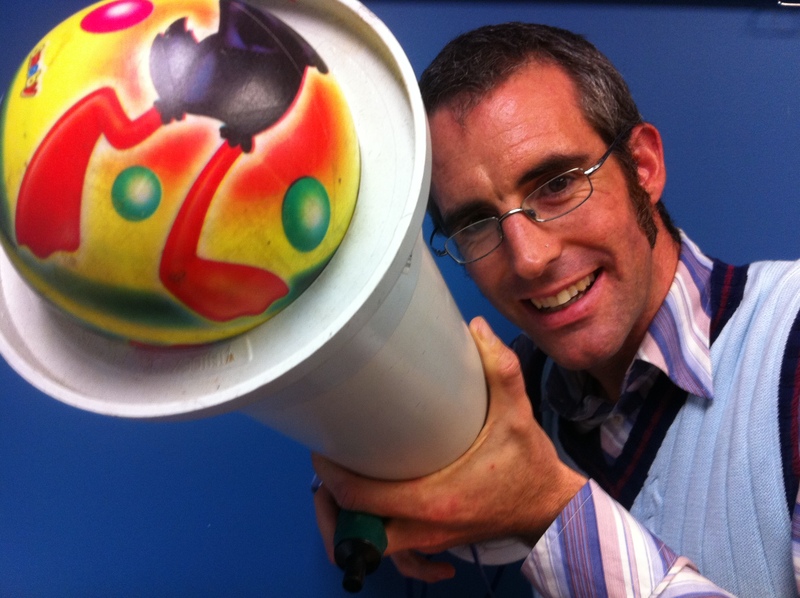 We’ll ‘rocketise’ innocent softdrink bottles, launch teddy-bears with liquid nitrogen, play ping pong with leafblowers, create marshmallow-firing weapons of mass suction, create some big big explosions… and heaps more! It’s pant-wettingly exciting! Presented with the support of of the Australian National University Research School of Chemistry. 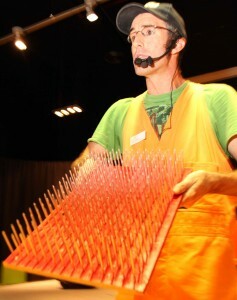 Please note to include all experiments this show requires a large venue with a high roof, such as a school hall or gym. What happens when exciting science demonstrations gang up with a team of crazy hand puppets? Join Curious Cat, Daring Dragon and lots more puppet friends as Dr Graham goes on a scientific adventure for very young scientists (and their young at heart parents). Tailored for early learners (kindergarten and below) and their families, this show is all about asking questions, doing experiments, discovering how science works and learning some along the way. Using the engaging format of hand puppets, the show aims to sow seeds of scientific curiosity and wonder in aspiring little scientists. Full of interaction with hands-on activities to try afterwards, its super science for small scientists. Two versions of the show with different experiments are available. Rapid advances in science and problems like climate change are inspiring people to come up with all sorts of new ways to make energy while looking after our planet. Find out about the science behind future energy technologies like fuel cells, hydrogen, carbon capture and biofuels as we burn and explode our way through a series of awe-inspiring experiments. 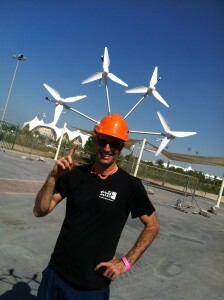 Volunteers will race solar powered cars, test wind turbine helmets and discover how we can store clean energy. Presented in conjunction with the ANU. If venues can isolate fire alarms or provide spaces without smoke detectors, additional EXCITING experiments can be added to this show. Robot inventor Dr Watt (Dr Graham) has a problem: not only has his prized dancing robot CO2PO (Mark Johnson) run out of energy, it’s usual fossil fuel energy sources are causing dangerous and embarrassing emissions! How will they ever win Robots Got Talent with a flatulent robot? Join the doctor and his trusty robot companion on a comical quest for cleaner, greener and lower ‘emission’ energy as they explore technologies like solar and wind power, hydrogen fuel, carbon capture and biofuels through exciting, interactive, highly flammable and explosive experiments. Will the team triumph at Robots Got Talent and discover science to solve to CO2PO’s emissions… or will his flatulent emissions overcome us all? Come along and find out in this lighthearted look at the energy conundrum. Nitrogen, carbon dioxide, hydrogen, oxygen, water … we’ve all heard of these things but do the states they’re in matter? Are they solids, liquids or gases? And why are they important for us in day-to-day life? In this exciting new show, we explore the science of the states of matter, chemical reactions and some exciting properties of these substances that surround us every day. We’ll make rockets with some gases, explosions with others, put fires out with yet different gases, and even join gases together to make new ones… as together we Gas What. Presented in conjunction with the ANU. Key themes: states of matter, nitrogen, freezing and boiling, pressure. When it comes to exciting science, liquid nitrogen is always a favourite and this show has LOTS of it. Jam packed with experiments, you’ll experience liquid nitrogen powered engines and rocket cars, balloons shrinking and exploding, bigger things exploding, and freezing, and giant fog clouds and even death-defying soft toys launched into the air from the wondrous explosion proof bin. This show is all about things changing from solids to liquids to gases – the three most common states of matter – and the amazing things that happen along the way when you add enough liquid nitrogen. Presented with the support of of the Australian National University Research School of Chemistry. 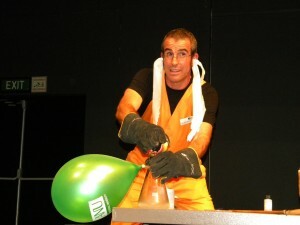 Please note to include all experiments this show requires a large venue with a high roof, such as a school hall or gym. Pressure! It’s all around us, pushing on you and me all the time. In this fun new show, we’ll discover the science of pressure – from air pressure, to high and low pressure, everyday machines that make pressure, and some super weird uses of pressure. Full of exciting and interactive experiments, we’ll levitate beach balls, expland and shoot marshmallows, grow shaving cream hair on a doll’s head and even ride on homemade hovercrafts! Combine eggs, vacuum cleaners, rockets and basketballs with plenty of pressure, kinetic energy and explosive gases and you have a recipe to go ballistics – the study of projectiles in flight. Packed with experiments that explode, launch and fly, this fun show explores the exciting physics and chemistry of what makes things move through the air. With lots of audience interaction, volunteers will blast off water-powered rockets and even catch flying eggs. Full of science you can try at home and plenty you shouldn’t. 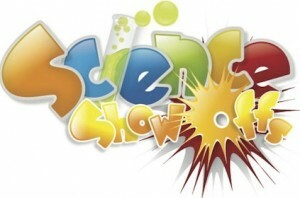 Discover the science that makes a volcano erupt in this fun and exciting show. The concept of pressure is explored through a range of volcano experiments, from simple chemistry with household items and classic reactions of Mentos and cola, through to some MEGA eruptions using liquid nitrogen. We’ll also make some oozy, gooey ‘lava’ that you get to keep. A great introduction to science for early learners using the ever-popular hook of volcanoes. Younger audiences are encouraged to prepare volcano decorations and paper/streamer ‘lava’ which are incorporated into the show. This show is best done in an outdoor area. What are your favourite scientific phenomena? Maybe liquid nitrogen, rockets, forces, explosions or electricity… from marshmallow bazookas to balloons that go boom, this interactive show is jammed with the most fascinating experiments I’ve collected over the past decade, plus new stuff to make your cranium curious and your laughs loud. Come celebrate the fun and wonder of science as we uncover the fun in phenomena. A customisable show – let us know what you’d like to experiment with! Looking for a special subject? Please contact us.